Sharjah Art Foundation has a new season of exhibitions opening on September 29 and most of them will go on until January 2019. This, in addition to Africa Hall, The Africa Institute, plus a couple of more exhibitions opening in November and a Film Platform (an alternative film festival) in December means you should plan several trips to Sharjah if you live in the UAE. If the rush hour traffic puts you off, then go on weekends. Below is the line up of exhibitions opening in on September 29, I am happy to say I am included in one of the exhibitions (I collaborated with artist Tulip Hazbar for our exhibition titled Last Days of Disco, a result from out March Project artist residency, more on this will be shared in a separate blogpost soon). Everything is free to attend and if you can’t come to the opening, try to visit anytime over the next few months. After the opening, there will be a live performance by DJ Peter Adjaye at 7:00 pm in Mirage City Cinema, Al Mureijah Square. Also known as AJ Kwame, Adjaye often collaborates with his brother, the architect Sir David Adjaye, OBE RA, and his sound installations have been exhibited in Tate Modern, Art Institute of Chicago, Somerset House, Whitechapel Gallery and more. Here’s some of his music and looking forward to seeing him live. Celebrating 10 years of Production Programme grants, Sharjah Art Foundation will present a selection of works from previous editions. Originally conceived alongside Sharjah Biennial 9 (2009), the Production Programme has broadened the possibilities for the production of art by offering grants and professional support to artists responding to an international open call. The aim is to commission artists to conceive and realise innovative work that transforms the way art is understood and experienced. This exhibition includes works by Raed Yassin (2014 awardee), Rula Halawni (2016 awardee), Amina Menia (2016 awardee), Mohammed Fariji (2016 awardee), Marwa Arsanios (2014 awardee), Khaled Kaddal (2016 awardee), Basir Mahmood (2016 awardee), Jacqueline Hoàng Nguyễn (2016 awardee) and Khaled Sabsabi (2016 awardee). 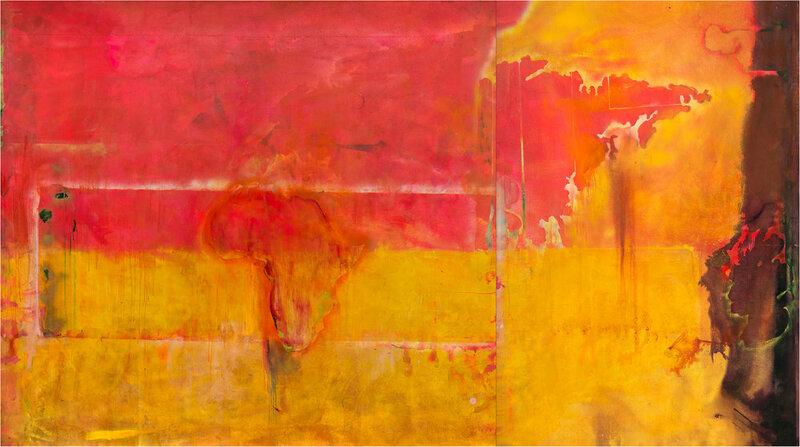 Frank Bowling: Mappa Mundi [Map of the World] presents an overview of major developments in Bowling’s practice, exploring the artist’s engagement with history, migration, memory and representation across a six-decade career. At a time when artists began to question the rigidity of formalist principles and the autonomy of the painted picture, Bowling sought to imbue the medium with complex social and cultural meaning. In his well-known modulated colour abstractions, which are the focus of this exhibition, he invested painting with a modernising awareness of the social, political and geographic transformations taking place around him. The experience of migration and cross-cultural relationships are important influences on Bowling’s painterly inquiry. Born in Bartica, British Guiana in 1934, he moved to London at the age of nineteen just as the city was experiencing a surge in immigration from the Caribbean and other territories of colonial Britain. During his studies and after his graduation from London’s Royal College of Art in 1962, Bowling’s mostly figurative works were shaped by representations of trauma in British post-war painting and the impact of postcolonial culture in both British Guiana and London. In 1966, Bowling relocated from London to New York, where his exposure to a new artistic environment, and in particular, the radical critique of art by black artists in the post-Civil Rights era, challenged him to test his developing language of abstraction. Best known for her projects informed by extensive research, Ala Younis has explored the formation of the modern Arab world and the potential for renewed thought and action that the era continues to inspire. She examines major issues of the modern day—nationalism, religion, social movements, the emergence of global capital and personal and collective loss—through a multiplicity of voices. She moves through history by studying traces of everyday objects, recurring images and routine practices. Rather than focusing on the perspectives of a singular leader or a spectacular event, Younis offers an in-depth understanding of an era that at times resembles our own. The exhibition includes work by Ala Younis from the past 10 years, including Nefertiti (2008), which examines Gamal Abdel Nasser’s industrial project in Egypt through the story of a domestically produced sewing machine, and Tin Soldiers (2011), an installation that reflects on the inheritance of militarisation and emancipatory struggle through the production of toy figurines representative of the region’s standing armies. The exhibition also features Enactment (2017), a suite of drawings and prints that consider the region’s unlikely histories of performance art as embodied in gestures of political commitment. There’s also a new piece commissioned by Sharjah Art Foundation which dapts the language of architectural model making and early studio stagecraft to a study of the emergence of Arab daytime television drama and the interplay of nations, investors, studios, currency fluctuations and political crises that shifted centres of cultural and political influence. Sheikha Al Mazrou, Cast Documents, 2018. 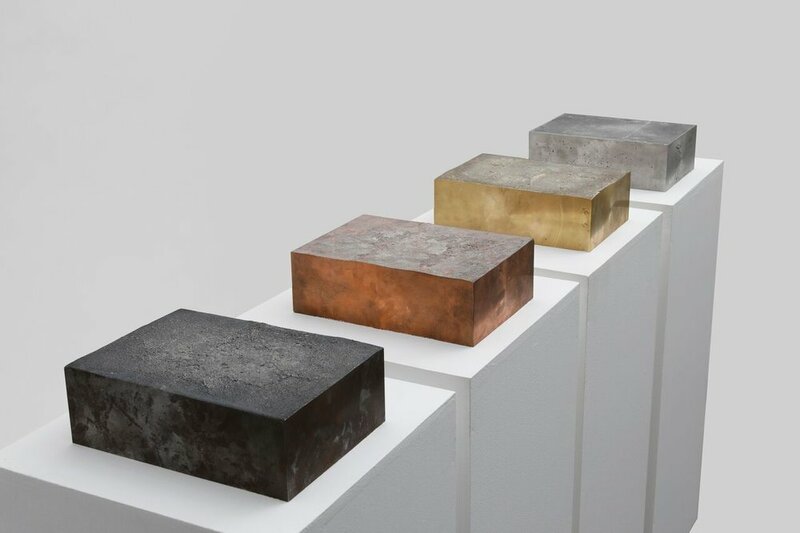 Brass, copper, iron and aluminum, 21.0 x 29.7 x 10 cm each. Commissioned by Sharjah Art Foundation. Courtesy of the artist. Lana Bùi, good infinity, bad infinity, 2018. 3-channel video installation, 13 minutes 45 seconds. Commissioned by Sharjah Art Foundation. Courtesy of the artist. Barış Doğrusö. Holding Pattern I, 2018. 3-channel video installation, 8 minutes. Commissioned by Sharjah Art Foundation. Courtesy of the artist. Hind Mezaina and Tulip Hazbar. Last Days of Disco, 2018. Mixed media, dimensions variable. Commissioned by Sharjah Art Foundation. Courtesy of the artists. Amman Zedani, non-human-assembly, 2018 | Biofilms, community of bacteria and yeasts, lavender, roselle, melissa, chamomile, coffee husk, chaste tree, tea, mixed flowers, red rose and black cardamom | dimensions variable | Commissioned by Sharjah Art Foundation | Courtesy of the artist. March Project is a residency programme that provides opportunities for artists to research, realise and present site-specific works over a seven-month period. This year marks the 5th edition of the residency and includes video works, photography, sculpture and installations spread across Al Mureijah Square, Calligraphy Square and Arts Square. This year’s March Project participants are Shaikha Al Mazrou, Lêna Bùi, Baris Dogrusöz, Hind Mezaina & Tulip Hazbar and Ayman Zedani. 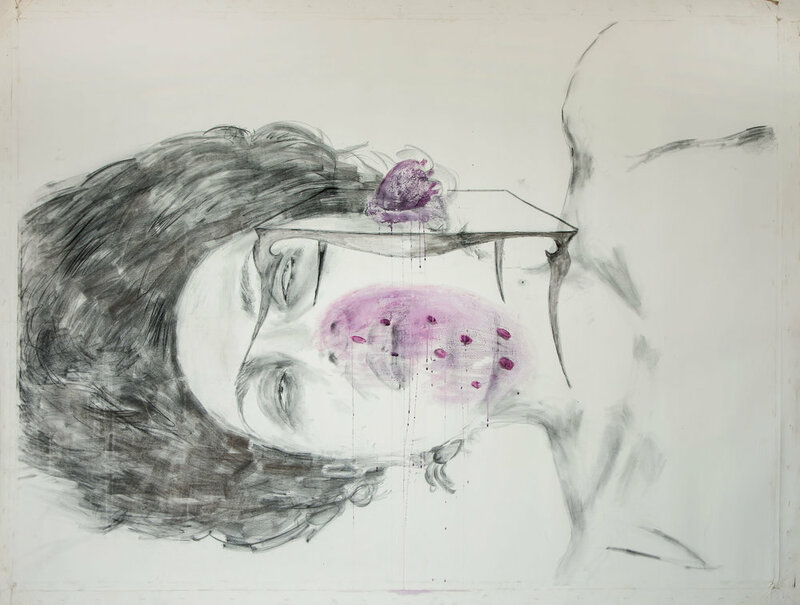 Sharjah Art Foundation presents the first retrospective exhibition of the varied practice of artist Amal Kenawy (1974–2012) since her passing. The exhibition will bring together a full range of the artist’s works, from animation, painting, drawing, sketches and journals to video works, installations, performance documentation and archival material. Both well-known works such as Silence of the Sheep (2009) and some of her lesser-known early works, such as, Frozen Memory (2002), will be featured. The Poetics of Space, curated by Yuko Hasegawa will highlight book design in Japan through innovative exhibition methods, bringing together typography, page design and photographs combining text and images. In its exploration of the relationship between art and books, the eight-week exhibition will consist of three sections: the photography book, art and book design, and the artwork in book form. The exhibition will be accompanied by a comprehensive programme of performances, talks and screenings.